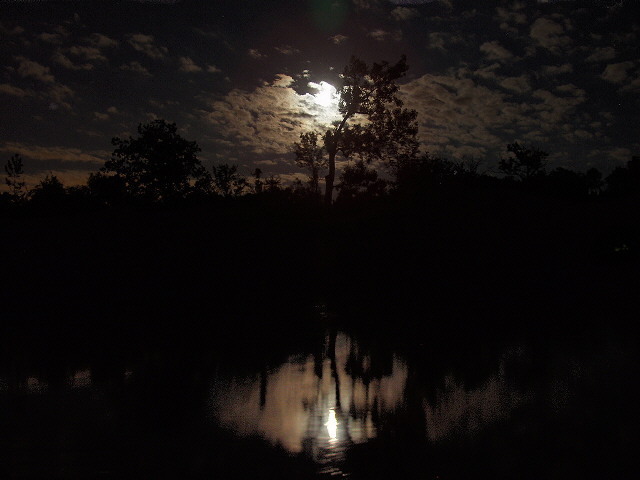 Just happened to be in the right place at the right time...to catch the trees silhouetted against the moon and clouds, reflected off the pond in the foreground. Taken at Dufferin Islands (Niagara Falls, Ont.) last summer.